Style XP is not a skinning engine. It uses Microsoft’s built-in visual style engine, but enhances it by providing many useful tools. Style XP can import, select, rotate, and manage themes, visual styles, wallpapers, logons, bootscreens, icons, cursors and explorer bar. Future versions may support sounds, screensavers, and packages of all the above. How does it work? Instead of lines and gradients, the XP user interface natively supports the use of skinned bitmap controls (a visual style). – Multiple theme packs including exclusives themes such as Pearl, Gucci, Vuitton, and Gem. – Can auto rotate, preview, organize, add (from zip), create, edit, and delete Themes. – Can auto rotate, preview, organize, add (from zip), edit, and delete Visual Styles. – Can auto rotate, preview, organize, add (from zip), edit, and delete Logons. – Can auto rotate, preview, organize, add (from zip), edit, and delete Backgrounds. – Can preview, organize, add (from zip), edit, and delete Icon Sets. – Can preview, orgranize, add (from zip), convert, and delete Boot Screens. 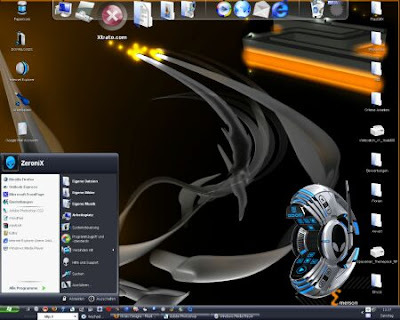 – Can edit several Transparent objects such as the taskbar. – Application can be skinned easily for your own look.